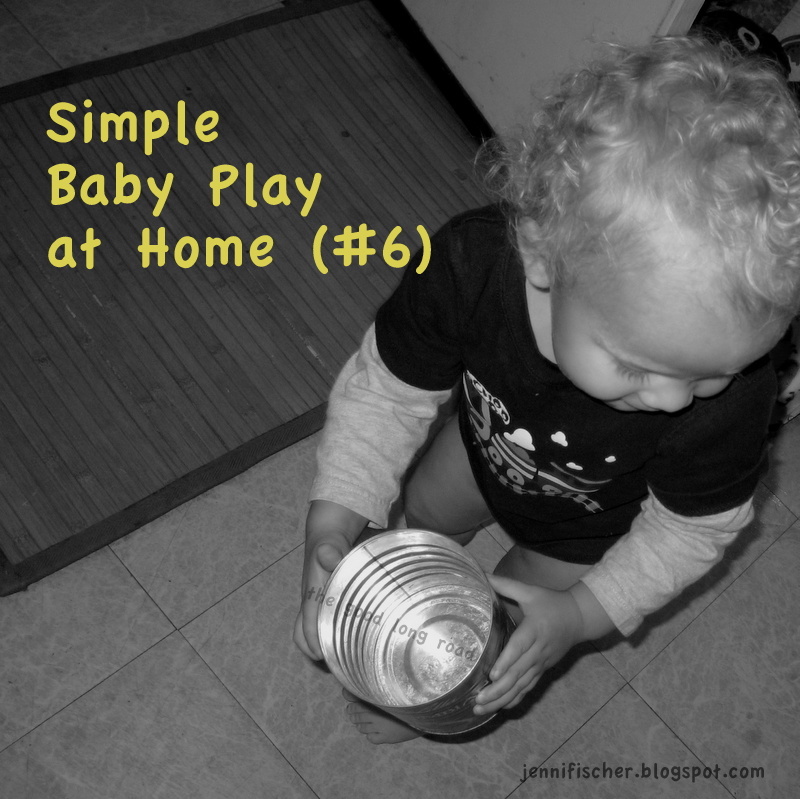 I love my baby play series, which focuses on Simple Baby Play Ideas primarily using Household Items, and the posts are quite popular so I think all of you do too! Sadly, I suspect my baby play series will be coming to an end soon as Caterpillar will be 18 months old next month and really is, everyday, so much more like a toddler than a baby. Still, I have decided to do two more baby play features (today and next month) before selecting a new series to replace it. Still, I plan to enjoy it while I can and am excited to feature this week one fabulous household item for baby play: the humble coffee can. 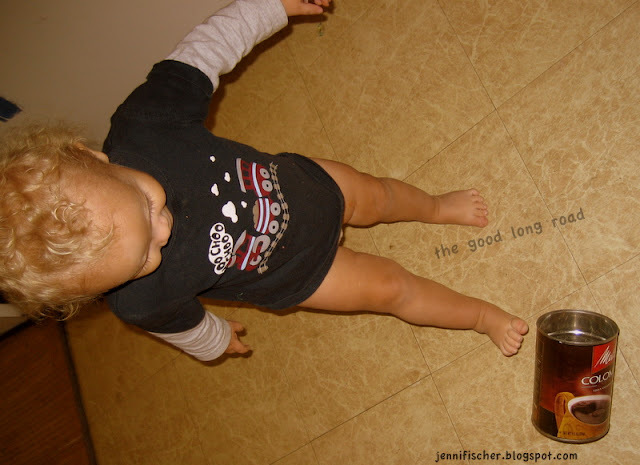 One coffee can can produce lots of play opportunities, as we have discovered. 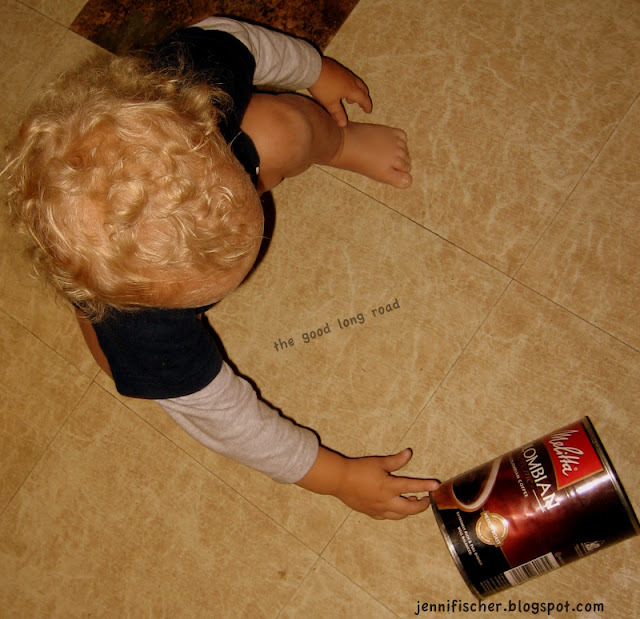 Babies can roll the can, which is lots of fun. There is also the option of kicking the can, also very fun. 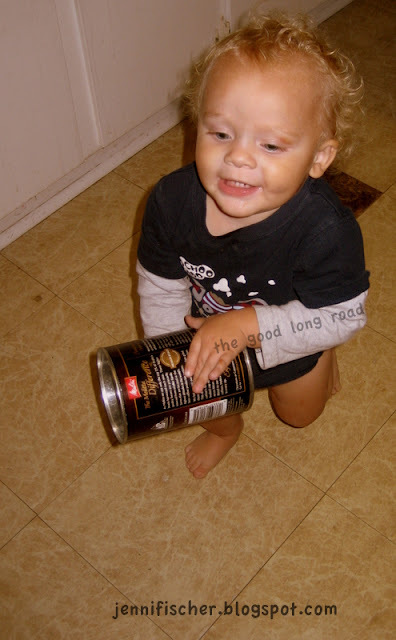 And, of course, there is the fun of running around the house carrying the can! This coffee can play is best for babies that can sit up and crawl on their own, as well as early walkers as babies not walking will enjoy crawling after and rolling the can and early walkers often think kicking and chasing a rolling object is lots of fun. Plus, through these activities babies begin to learn and understand cause and effect. We also have a coffee can that has lots of beads in it (from a broken piece of jewelry) that Caterpillar loves to shake, basically the same idea as the homemade musical instruments/shakers for baby from The Educator's Spin On It, which were featured in Baby Play #3 (along with many other fun, simple baby play ideas). 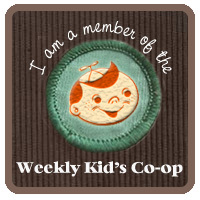 Plus, as this is also my Kid's Co-Op post for this week, I want to share Learn with Play at home's Baby Play: Tissue Box Play post from the Co-Op link up last week. 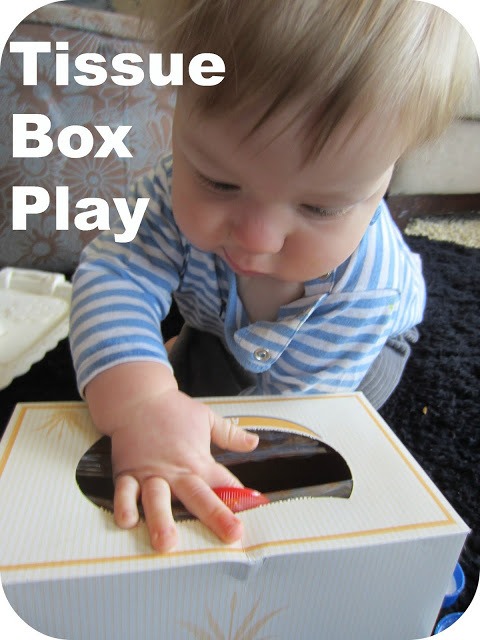 Tissue boxes and/or empty wipes containers offer lots of fun baby play ideas and certainly most households (especially with babies) have these items already on hand, so get playing! Simple Ideas for Baby Play at Home with container, lids and other recycled materials. Wow - we have shared a lot! 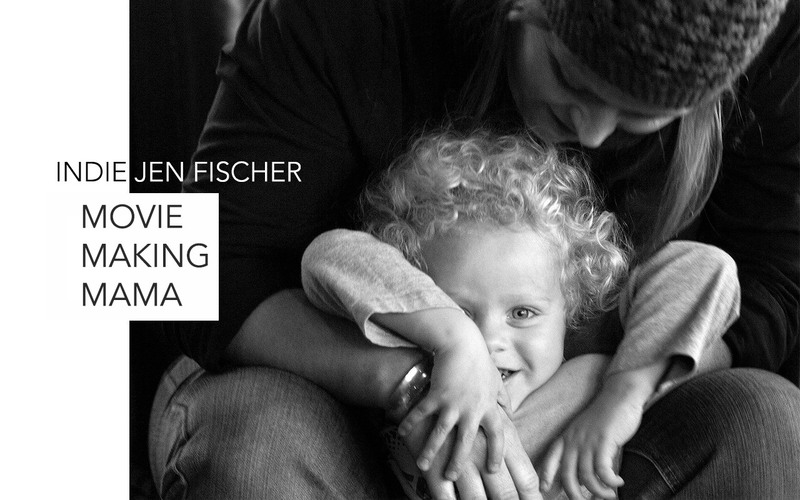 What are your favorite ways to play with your baby?